The 22-page lawsuit was filed late yesterday in federal court in Philadelphia on behalf of 12,000 Aetna policyholders in 23 states. The complaint also names a yet unidentified vendor that Aetna used to send its mailing. The plaintiff – a 52-year-old man – filed the lawsuit under a pseudonym to protect his privacy. The complaint alleges that the man’s sister and the sister’s financée learned about the plaintiff’s condition by “sorting the mail.” The plaintiff takes HIV medications as part of a regiment of pre-exposure prophylaxis to prevent him from acquiring the disease. It also accuses Aetna of “recklessly” failing to supervise its mail fulfillment vendor “to ensure that the highly sensitive information … was not illegally disclosed to third parties.” The complaint notes that the industry-standard practice of protecting the contents of a mailing is to use a blank cover page that contains only the recipient’s name and address or to use an envelope without a glassine window. 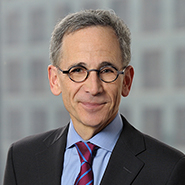 The seven-count complaint alleges violations of Pennsylvania’s Act 148, which prohibits any individual, including an insurer, from disclosing HIV-related information without consent, together with claims for negligence, negligence per se, breach of contract, invasion of privacy, unfair trade practices under the state’s mini-FTC statute and unjust enrichment. Thirty-nine states have either HIV-specific privacy laws or general privacy provisions that reference HIV. This isn’t the first privacy dust up Aetna has faced over HIV prescription coverage. Aetna faced two separate class actions in 2014 and 2015 which alleged that the insurer “jeopardized the privacy of people taking HIV medications by requiring its insureds to receive their HIV medications through mail and not allowing them to pick up their medications in person at a pharmacy.” The lawsuits were settled but contained a condition requiring Aetna to send its policyholders a notice telling them that they were no longer required to order their medications through the mail.